This year has been my year of Europe (before it became my year of Asia as well). I have been lucky enough to visit 15 of its wonderful capital cities. But my favourite is still the same as this time last year. 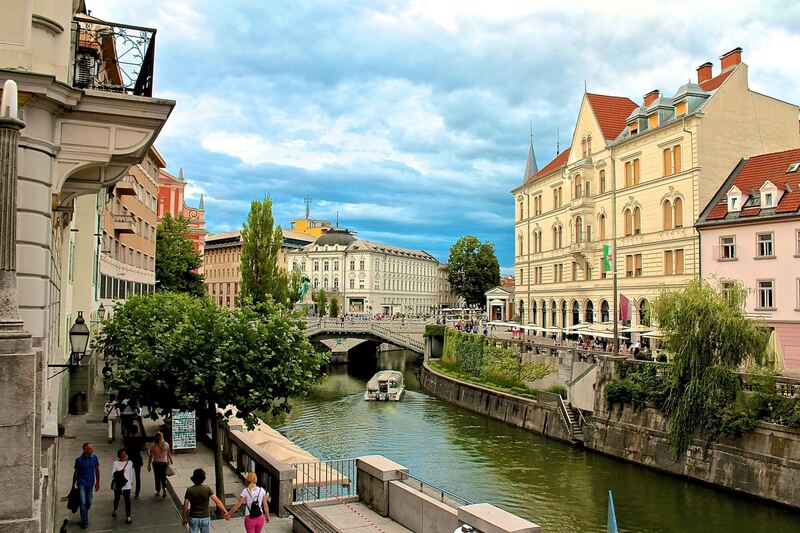 The charming, quirky and cool capital of Slovenia, Ljubljana. Only a short train ride from the natural beauty of Lake Bled, which by now is making it onto the main stream Europe destination list you can easily visit both destinations in a long weekend. So, why do I love it so much? 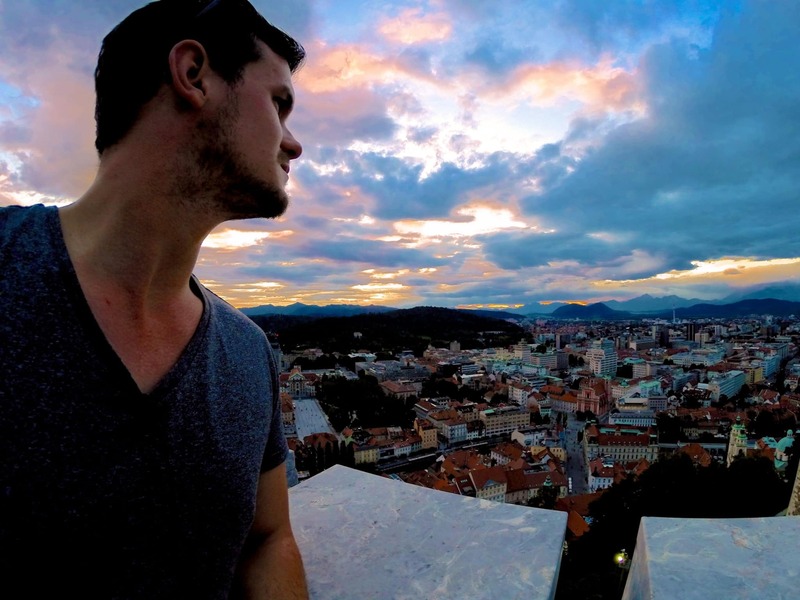 What makes it my favourite capital city and why should you visit Ljubljana, Slovenia on your next trip? I can happily while away my days in Europe wandering down little alleys, peering in shop windows and soaking up the coffee culture. This is one city totally suited for that! It is compact enough and centres around the river. Some people say its like a small relaxed Amsterdam, I say that’s a good thing. Slovenia is a stunning country, both because of its hospitality and its incredible scenic surroundings. The view from the top of the castle overlooking the mountains is beyond impressive, especially if caught at sunset. 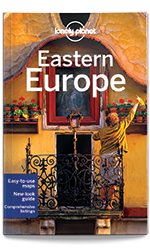 Grab the print or e-book before you travel to Slovenia. When you are done with your coffee culture for the day, or your sunset beers along the river Ljubljana packs a punch for dining options. 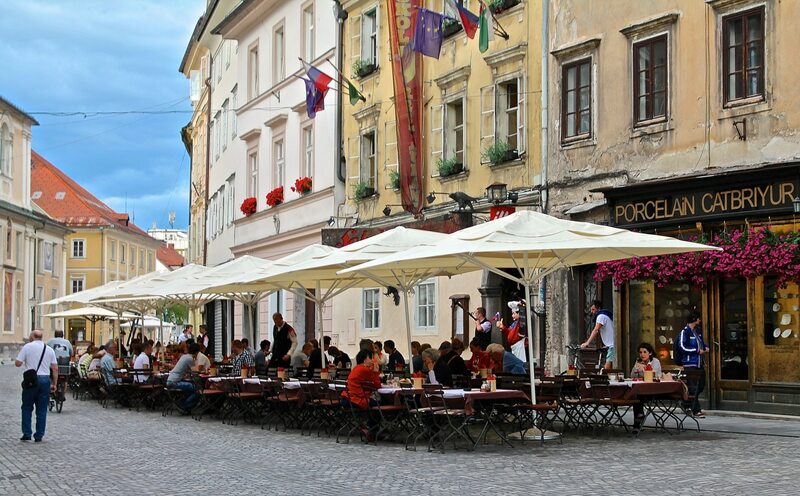 The cobbled streets and outside tables make for a great surrounding to enjoy some of the local dishes including the famous Bled cake (that is, if you can’t make it to Bled for the real deal.) Head to the market for a lively way to feast your way through some of the local Slovenia sausage specialities. This is my kind of city for having a little splurge. Sure, you have plenty of high streets names but down these small streets sit some pretty unique gems. From vintage vinyl stores to tiny boutiques and collectables stores you can spend a good few hours picking out stuff that might not be required but will make your house look that little bit cooler. Capital cities can be brash, bold and beautiful at once however here in Ljubljana you can just chill out and go with the flow. With plenty of other spots nearby to explore use this as a base before getting out to enjoy Slovenia. It is certainly a country high on my list to get back to. Slovenia has so much more to offer though and you could easily fill weeks exploring this beautiful country. Check out this incredible list of day trips from Ljubljana to see just how stunning this nation truly is. Visit the Coal mining museum of Slovenia in Velenje, which is one of the most popular museums in Slovenia. Put on the miners boots for a short time, descent 160 m beneath the surface of the earth and go on an interesting journey into the once active mine tunnels of the mine Škale, which are now a part of the museum. Come and convince yourself how mysterious the underground world is. In the company of our guides you will enter the coal mine exactly as the miners did last century. Dressed in mining clothes, overcoat, with a helmet on your head and with a snack in your hand, you will get into the coal mine, 160 meter deep, through the Old shaft from 1888. In the underground tunnels you’ll see in an hour and a half a vivid demonstration of how the miners work looked like in the past and how it does today. So nice to read. :) And speaking of foodie heaven, you are more than welcome next time you’re here to join my personal foodwalks. 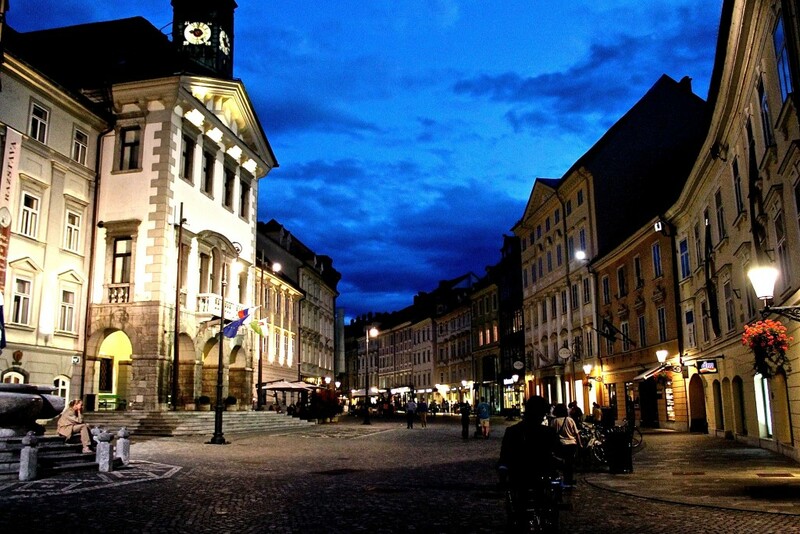 The tasty side of Ljubljana awaits you. :) I also second Soča river valley, wine region Goriška brda, Vipava valley, tiny Karst villages (think Coljava, hehe), and I also like to take a dip in Laško natural spa. Or any other spas. Welcome! Good article, Dan! Slovenia is most definitely on my to-visit list. That’s a really cool article. I’m Irish and live in Dublin but I’ve also lived in Barcelona, London, Catania, Almeria, Trieste, Taipei, Ciudad Real, Limerick, Galway, Toronto, Reading, Daejeon (SK) and I have to say Ljubljana is one of my favs! Also come to Ireland and you’ll always be welcomed! Slainte! Good post, I liked your way of writing. Personaly as a local I would say that the best places are outside the capital. On a very small place you can take a look at alps, karts, adriatic coast, vinecountry and even pannonian plain. Good post, liked your way of writing. Personaly as a local would say that Ljubljana is beautiful, but still best places in Slovenia are outside the capital. On a very small place you can take a look at alps,karts, vinecountry, adriatic coast and even pannonian plain. You should visit the beautiful valley of Soča river. Especially the Tolmin gorges. WOW. Looks truly beautiful. Excited to explore it some time soon! I think a road trip is going to be needed! Sounds like my summer is going to get a lot more exciting…. Thanks for the tips! Daniel. I am glad you feel well in my home country Slovenia. Actually Slovenian nation sometimes undervalue beauty of Slovenia, so we need foreign people to talk, write and educate about it. Come around to Iceland. I am tour operator right here. I heard. I always struggle to book so far in advance with other commitments so will be trying my luck! Anyway, if you drop in some booking troubles you can contact. Haha, Daniel! I see many Slovenians already give you tips for your next visit! Maybe you will need to stay more than just for a weekend? :) Already suggested Velika Planina and Soča are our favourite in summer, but also very crowded. I fyou like nature, Nadiža is very popular too! Yes, haha. I think I’m going to need a few weeks, which is fine by me! Cant believe your country has so many beautiful places to visit. Nadiža also is somewhere that looks to good to miss! Looks like a great place to get a bike and explore, thanks! Many people recommanded Soca valley. Nobody mentioned, that beside rafting, you can go cayaking on Soča. Furthermore, in that area are some caves you can visit, and some of the most beautiful canyons in Europe. If you are up for an adrenalin experience in the middle of beautifule nature, I higly recommand those. If you go canyoning, I would not choose Sušec, because it is the most touristic one. If you are interested in sightseeing a medieval city, you should visit Škofja Loka. It is a small city, it takes you 20 minutes with train from Ljubljana station via Jesenice, train ticket costs cca. 2€ in one direction….There, you can visit Škofjeloški grad (castle), eat in Jesharna (great pizzas, pasta, salads etc. ), and for desert, stop by Homan, where they have amazing cakes and other deserts…but visit it in summer time, in winter it is quite dull, except for the local bars with amazing coffee (yep, typically Balkan style, great coffee all day long hehe). In summer, city is fairly crowded with tourists, which are interested in Upper square, with tiny old houses and small shops. 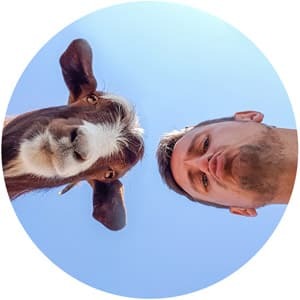 Škofja Loka will make you busy for a day, check it out ;) I hope I helped. Oh, and if you go to Jesharna, you definitely MUST order pancakes! They are awesome! It is always nice to hear someone saying such beautiful things about my home land :) Apart from Soča valley (which really is amazing if you are into nature) I’d add heart shapped vineyard on Plački vrh and cute little old town in Radovljica (close to Bled) where you can taste amazingly tasteful slovenian culinary. Radovljica looks so cute! I can see myself eating a lot on my next visit haha! Sounds great, ill let you know when I am next in your lovely country. Definitly you have to visit Piran, Postojnska cave, Predjamski castle, Maribor with Pohorje. Yes, yes, yes and yes. Great ideas! you must see Goriška Brda, it’s like tiny Tuscany. I think you are right. It all looks so beautiful! Lipica Studfarm, cradle of lipizzaner. Visit Prekmurje and Prlekija… Jeruzalem and its wines and good food and nice scenery in Goričko and happy people of course:) will make u like Slovenia even more. 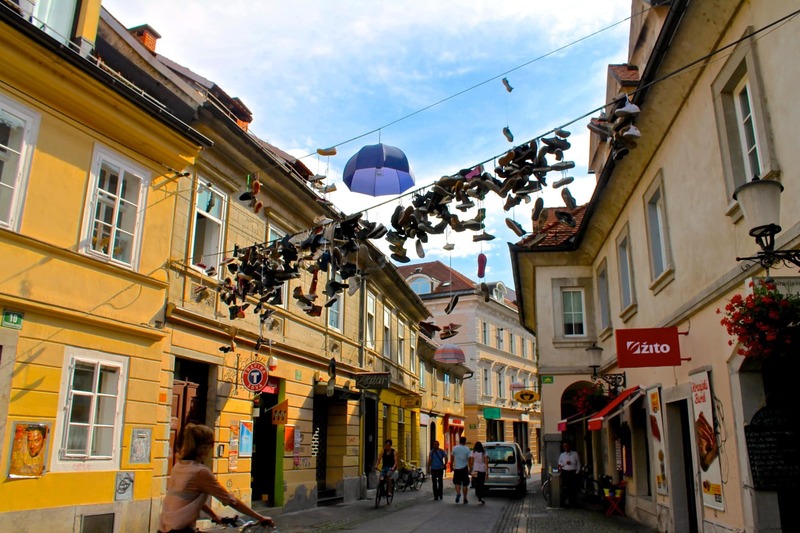 Great article, Ljubljana is really stunning! But you really should stop in Vipava Valley on your next visit. 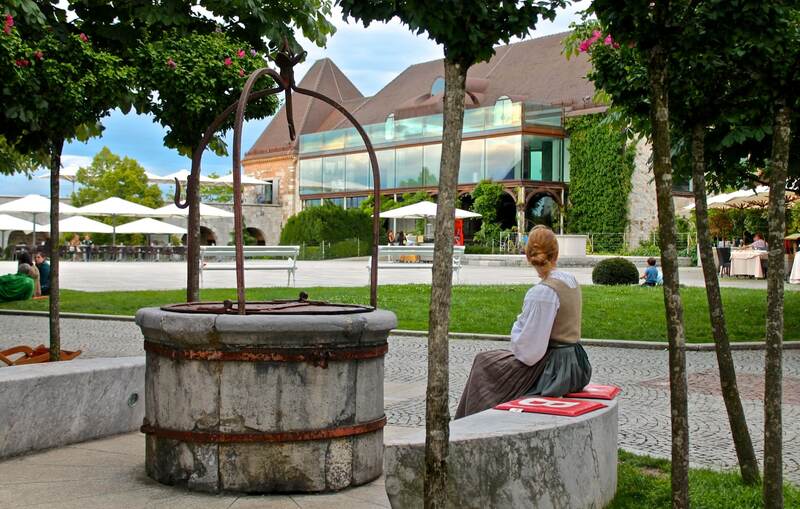 Vipava has some great winemakers, restaurants and is very rich in natural and cultural heritage. It offers sports activity that you can mix with great gourmet offer. The Vipava river is actually the only river in Europe with a delta spring and in the old days, the royal family from Vienna had a castle which is now almost fully rebuilt. Since I’m a local there just let me know when you arrive and I can give you a quick tour or give you some of the sights you should see in Vipava. Thanks so much for all the information! I will let you no indeed, its being added to my summer to do list now! Velika Planina and Bohinj are a must! Goriška Brda-village Šmartno is the most beautiful natural monument in Slovenia. – A glass of of excellent wine and top slices of ham with spectacular views of the Brda vineyards and orchards. Wow. Just searched it and looks amazing. Wine watching that sounds pretty damn perfect, thank you! Come to Maribor and I’ll show you around! I’m there! Especially if there is magic. See you in the summer!!! Wow. That looks amazing, seems I’m going to need a good few weeks to explore next! I recently posted a very similar article! Ljubljana really is one of the cutest capitals ever!! I love returning there! Thanks for the ideas, think I’m going to need a lot longer than a long weekend this time! Definitely the food market Odprta kuhna on Fridays (March till October) in Ljubljana, if you haven’t been. Certainly seems a beautiful place to get some trekking in. Who needs Switzerland eh! You are warmly welcome in our little, friendly, cozy and international Capital, ifyou come back. There are also mayn other sights of our beautiful country you hould see. I hadn’t heard of Tolmin before but the photos look great, will add to the list. Thanks! Forget Tolmin..Go to Kobarid instead (further north) and visit the WWI museum. Unforgettable. Restaurants: Skaručna (close to Aerodrom Ljubljana airport; a bit pricey, but well worth it), Mahorčič (moderate prices, totally cool food). Pizzas: Da Mattia (Trzin), Garaža (Ljubljana). These all sound great, really excited to visit them next summer. Thank you! If you’re in town just for the weekend, make sure you take Top Ljubljana Foods food tour – a fantastic combination of a food walk and city tour! Google them! I will check out it. Really enjoyed the foods (and wines) in Slovenia next time so getting to try a bit more sounds great! Wow. Some beautiful places. Looks like Ill be renting a boat on my next visit. Thank you for the suggestions! 100%. I did Croatia last summer so the Slovenia coast is high on my agenda! So much I still need to explore. Thank you for the ideas! I will. A few weeks next Summer is sounding exciting already! I would recomend coast part of Slovenia: Piran and Izola. Think a Summer coastal trip is on next years agenda. Thanks for the tips! … and also consider visiting those places from a different- water perspective ;-). Have FUN! Koseški bajer, a se hecaš? Mogoče Šobčev bajer. With bike from Kobarid to Goriška Brda.. There is one paved road with no traffic from Kolovrat range directly to Brda Wine region. And of course the whole coastline with the old city like Piran. Thanks for the response. The coast looks beautiful, I did Croatia’s coast last year so Slovenia will be next year! If you haven’t been in mercury mine yet,than go to Idrija. Small town west from Ljubljana. At the same day you can visit Piran on Slovenian coast as well. Or Postojna cave,or go to Soča valley. Wow. They look amazing, added to the list!